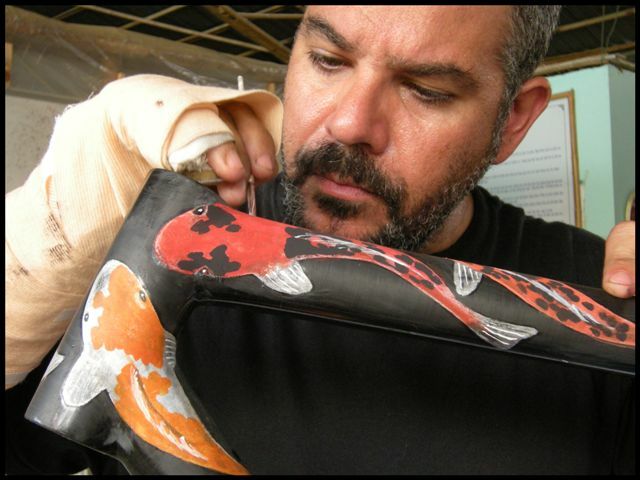 The 2011 North American Handmade Bicycle Show (NAHBS) is only two days away, and you can already feel the anticipation in the Austin air. This year’s show will be a record breaker for number of exhibitors…and with Austin being such a bike friendly city, I’ll bet we break some attendance records as well. I thought it would be cool to get a response from one of the exhibitors a couple days out from the show and see how their last minute preparations are going and what they expect from this weekends event, so I contacted Nick Frey. Nick is the owner of Boo Bicycles, a handmade frame building company based out of Fort Collins, CO and specializing in high-performance bamboo-carbon bikes. LTB: Are you guys all set for this year’s NAHBS? Nick: Almost! I’m building up a Boo road bike with Dura Ace and Enve Composites 1.45 carbon clincher wheels, it’s coming together very nicely. It is a customer’s bike, a stock geometry Road model, and he’s very excited to have it on display at NAHBS. We prefer using customers’ bikes for shows–they are not trailer queens, they are ridden and raced and proven. One of the biggest obstacles we’ve had to confront is the notion that bamboo bikes are a novelty. It may be true that most bamboo bikes on the market are targeted at the green market or for those who simply like the idea and want a relatively low-cost bike that stands out from the crowd. However, I am a professional cyclist and Boo Bicycles produces professional level racing bicycles. LTB: What is the number one thing you hope to achieve at the show? Nick: We are looking for PRESS to get the word out. From that press, we are looking to line up magazine test reviews, grow our exclusive dealer network, and sell some custom bikes direct. But all that comes from the incredible publicity of being at the show and getting the word out through the web. LTB: What is the coolest bike you’ll be brining to the show? Nick: That’s a trick question: every one! To be honest, if I had to choose, it would be Kirk Hartshorn’s Boo Singlespeed. It is fitted with a belt drive from Gates, the new CenterTrack version, and features a custom Boo Barstem with carbon fiber and rattan inlays. It’s one of the cleanest, sexiest bikes we have ever built. LTB: Bamboo bikes are sort of becoming the rage right now. 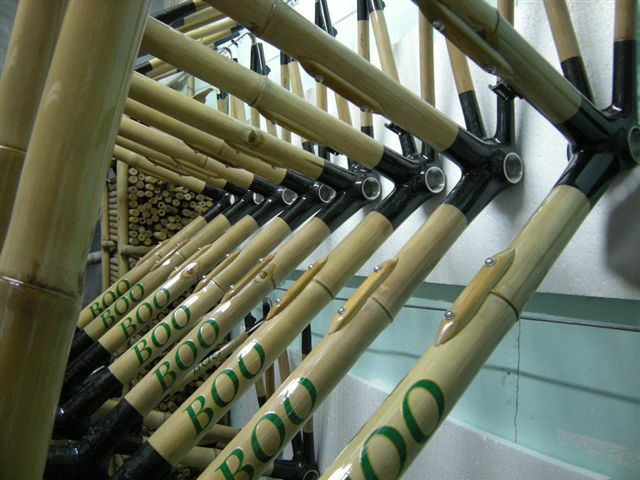 Do you think we’ll see more Bamboo bike manufactures being started? There is no knowledge base for bamboo construction. It’s a new material and new builders keep the construction methods to themselves. Bamboo is a finicky material. The rewards are an incredible blend of lively, supple ride quality, stiff and efficient power transfer, and relatively light weight. But bamboo must be treated properly, only a few species are the best for use in a frame, and the quality of the bamboo is of utmost importance. There is not a consistent supply of ultra-high quality bamboo and this is why we’ve taken absolutely everything in-house. We know the level of standards because we control every step. Consistent quality is very difficult. We’ve gone through more prototypes and learning experiences with various details of our different frame models over the last three years than I’d like to count. The devil is in the details, and we are building custom frames that cost close to $3000 each. We have had to invest a great deal of time, effort, and ingenuity to ensure every single frame is perfect. After what we’ve been through in the last three years, I’m guessing that there will be few builders at our price level in the market any time soon. LTB: Have you been to Austin before? What would you like to see or do while you’re here? Nick: I traveled through Austin briefly on the way to a training camp in the Hill Country west of town, but I have not experienced the city. Its reputation as a very progressive, hip town is perfect for NAHBS, and I’m very excited to be so close to Mellow Johnny’s, the only Boo Bicycles dealer in Texas. They have a trick custom Boo belt drive Rohloff-geared flat-bar road bike, Bart Knagg’s personal steed, and it will be great to have their support at the show. James Wolf, the genuis craftsman behind every Boo frame, has flown in from Vietnam for the show, and I’m sure we will enjoy the experience and partake in the nightlife if there is any energy left after the show! 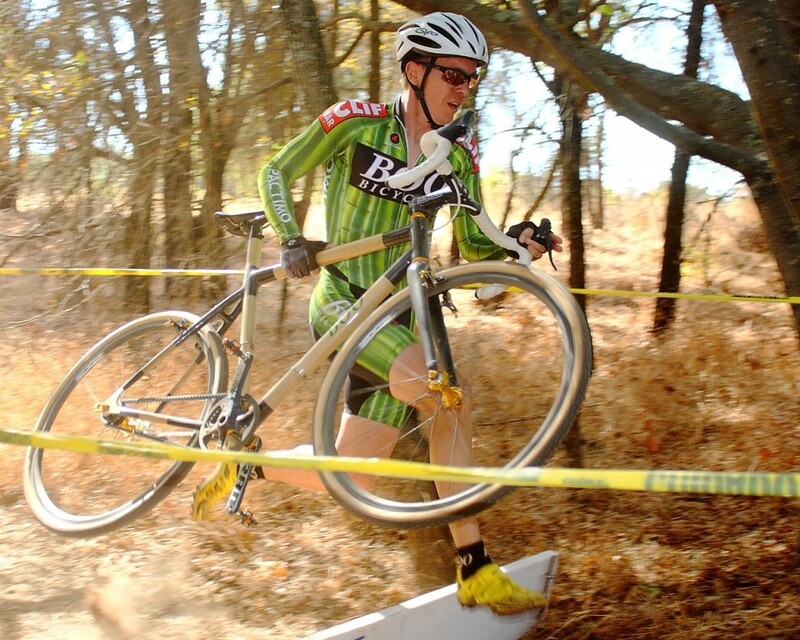 Boo Bicycles was created in 2009 by Nick Frey, a multiple national champion, professional cyclist, and a mechanical engineer. Over 18 months of research and development at Princeton University has resulted in high performance, expertly-engineered bamboo bicycles. If you’ll be at NAHBS, drop by the Boo display and say hello to Nick. Excellent interview. I learned a lot about bamboo and the quality of this product. Thanks Jeff, will you be coming to NAHBS? If not, we’ll be posting a lot of updates over the weekend and early next week.